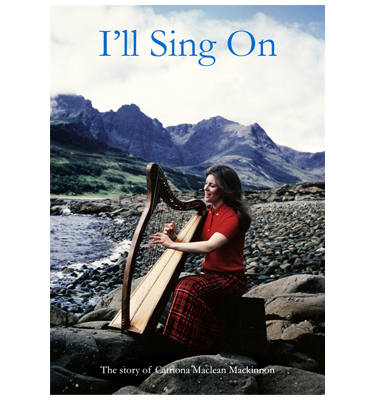 This book is the story of Catriona Maclean Mackinnon, a gifted and successful Scottish singer/harpist who was brought up and studied in Glasgow and then moved to Skye. Still a young wife and mother, she was diagnosed with a life-threatening illness. Showing impressive strength of character and remarkable courage, she decided to press on with her commitment to music and her struggle for perfection. In the midst of this, she unexpectedly found Christian faith. Her many letters reveal her spiritual journey in those days. Note that the book is available from bookshops in Glasgow: FM Bookshop in Bothwell St and Waterstones in Sauchiehall St; Waterstones in Oban; CLC and Waterstones in Inverness; Aros, Blythswood and AnCrubh in Skye and Stornoway Religious Book Shop in Lewis, as well as some other outlets.